Ibizans are smart dogs who do well with children. 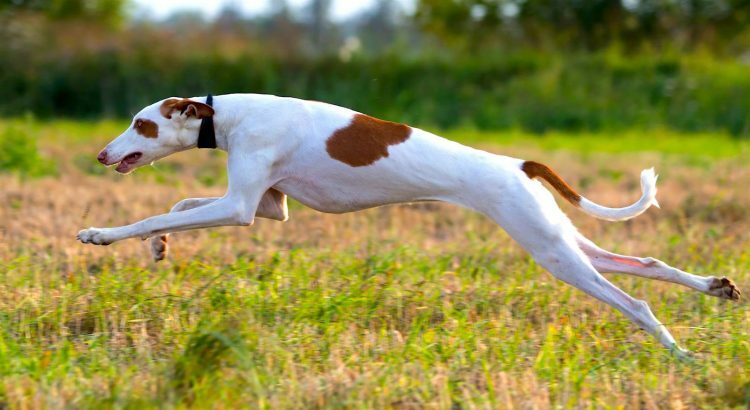 Just make sure you have a tall fence — this dog can jump up to 6 feet high. The Ibizan Hound is an ancient dog from Egypt that is named after an island off the coast of Spain. The dogs have long, narrow heads, flesh-toned noses and small eyes that are shades of caramel to clear amber. The ears are large and pointed and can move in a variety of directions based on the dog’s mood. The tail is set low and curls into a sickle shape. 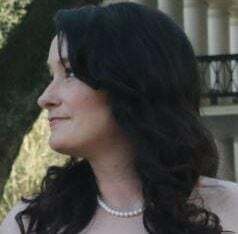 The coat can be short or wirehaired and is rough in texture. Coat colors are restricted to white or red, either solid or mixed. An all-white, wirehaired Ibizan is rare. Ancestors of the Ibizan Hounds were allegedly kept by the pharaohs of ancient Egypt around 3400 B.C. Evidence of the regal hound was found in their tombs, as well as in the tomb of Tutankhamen when it was discovered in 1922. Included in his tomb was a life-sized statue representing the Egyptian god Anubis — its likeness was identical to the Ibizan Hound. The dogs made their way to Ibiza off the coast of Spain in the 8th and 9th centuries B.C. It is believed that they were brought there by Phoenician sea traders, and the dogs remained there for 2,000 years. U.S. Army Col. Consuelo Seoane and his wife imported the first Ibizan Hounds into the United States in 1956. The American Kennel Club (AKC) recognized the breed in 1978. Ibizan Hounds are playful, protective and can be reserved with strangers. They get along with other dogs but might chase after cats and small animals. They are great with people and children, viewing the family as the “pack.” They are easy to train and eager to learn. The breed is slow to mature and can remain puppylike, even into the senior years. They tend to bark more than other breeds but not excessively. They are sensitive to harsh discipline — training and socialization are highly recommended. Kennels are not recommended, however, so don’t confine this dog in small spaces for a long time. 4. 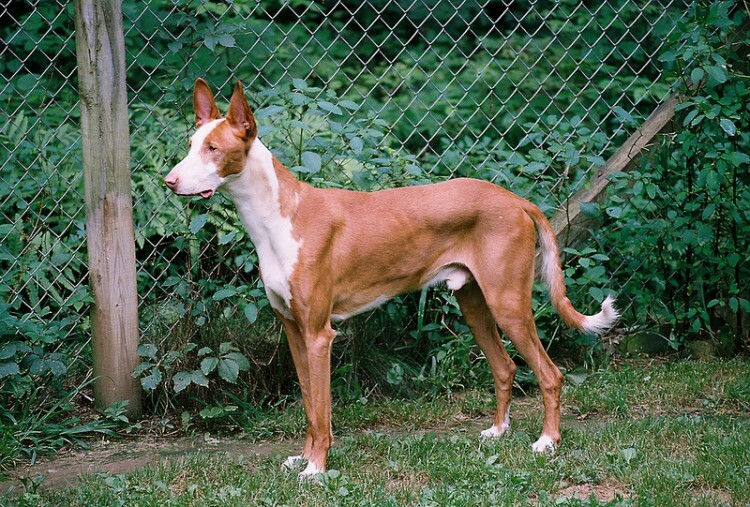 Is the Ibizan Hound the Right Dog for You? HIGH: Take your Ibizan on 2 walks a day and a run, when possible. Use a lead, or exercise your dog in a secured area — Ibizans are fast. Once they take off after something, they are difficult to catch and may ignore hazards, such as automobiles. The dogs have high prey drives and may go after cats and smaller animals. You’ll need to have a tall fence if you want to let your Ibizan off the leash — they can easily clear 5- or 6-foot fences, according to the book Top Dog. LOW: Your Ibizan is an average shedder and just needs occasional brushing. This is the same for the short and wirehaired coats. Both coat types can be trimmed, if desired, and the wirehaired coat doesn’t need stripping. Bathe your Ibizan as needed, but definitely check and clean the large ears regularly (at least once a week). In a quick search recently, we found nearly 3 dozen Ibizan Hounds nationwide who are looking for homes. A handful of them were purebreds, so it’s definitely possible to rescue and adopt one instead of buying from a breeder. 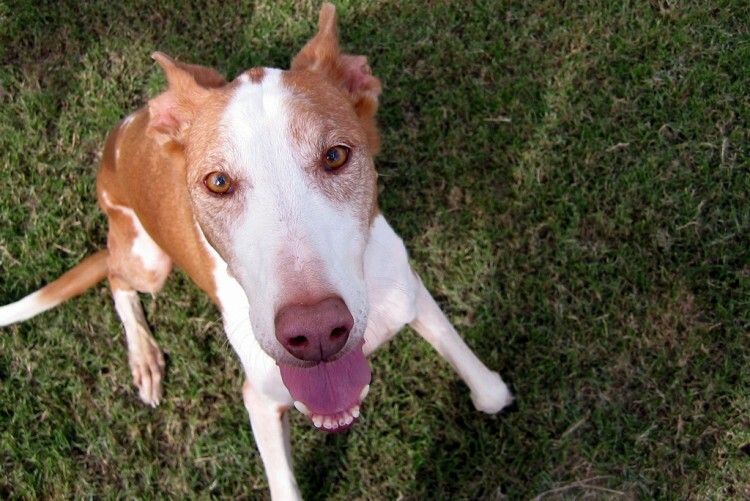 You can start your search for an Ibizan Hound on Petful’s Pet Adoption Center page. If you opt to contact an Ibizan Hound breeder, please first familiarize yourself with all the puppy mill warning signs and ask the breeder for health clearances on the dogs when you inspect the property.